Digital You is a key element of Salford’s plan to tackle digital exclusion, aiming to engage those residents not going online. The local authority is working in partnership with the Good Things Foundation, a digital inclusion charity with experience and resources in addressing digital exclusion. Digital You operates in existing community settings to engage 8,000 digitally excluded people, aiming to build motivation to go online by using web-based training to show how to access different services that will make a tangible difference to their lives. The programme also engages support from and coordinates the activities of a broad range of groups carrying out related schemes – from housing associations to Google, Talk Talk, Lloyds and Barclays – to increase the impact of each, avoid duplication and build a movement that is hoped to endure beyond its two-year funded course. The Mayor of Salford launched the #DigitalSalford programme to take advantage of the growth in digital jobs at MediaCityUK, in order to transform the culture of the local authority and embrace the potential of digital connectivity from top to bottom. 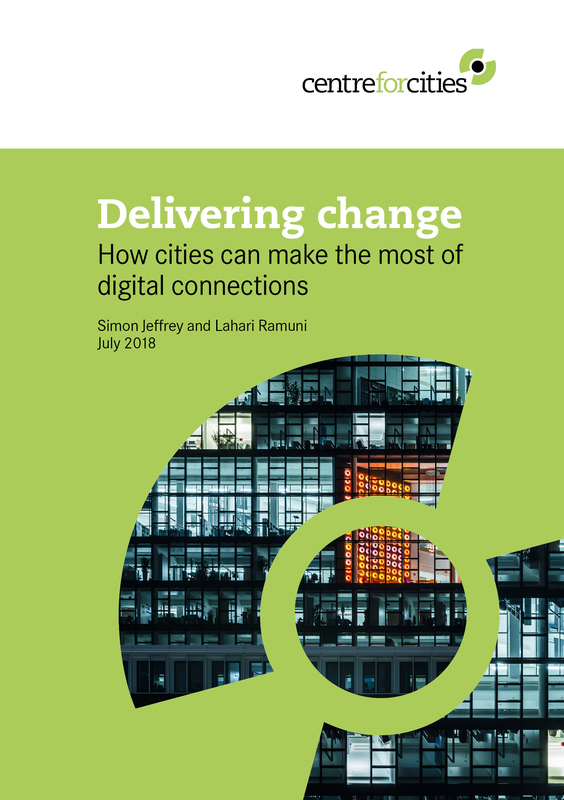 Alongside the aim to become ‘the most attractive city to digital companies’, Salford set a vision and took action to also reform how the council operates at every level and raise public awareness of what is possible through its ‘digital first customer strategy’. This translates into pushing departments to take advantage of best practice and make digital the easiest option to interact with the council.52 Pest control can now be booked online, as can taxi licensing. These programmes have been designed with users to ensure they work well, that forms make sense and information is available at every stage. Staff have been trained to use technology, and Grounds Maintenance and Streetscene workers are now able to easily record and receive work requests through iPads while on the road. This is all aimed at improving services and reducing costs at a time when urban local authority budgets continue to fall.